No one should die because of improperly sterilized medical equipment. We believe in the universal right to equitable health care delivered in a sustainable manner. Clinics in remote areas often do not have the necessary access to electricity to sterilize their instruments. Nurses frequently have to travel long distances to sterilize their medical equipment properly in major hospitals with a more stable electricity supply. Sometimes, however, it is still not possible to sterilize the equipment in these hospitals and they have to either use less efficient sterilization methods such as boiling water or to operate without sterilizing the instruments at all. Noor Medical’s goal is to provide effective sterilization solutions to remote areas, reduce postoperative infections and increase the quality of life of nurses, doctors and their patients through an easy to use device. Noor Medical supports endogenous structures through the local production of hybrid autoclaves with locally sourced materials. We design our autoclaves to be durable, affordable and modular, so that they can be easily repaired and are easy to operate. The diversity of energy inputs ensures that our product can be operated in a variety of contexts and provide the critical sterilization of medical equipment for rural clinics at high risk of grid-disruption or with no electricity at all. Guided by a sustainable mindset, Noor Medical empowers healthcare through light while considering the social, economic and environmental aspects of our operations. During field testing, Noor Medical will test prototype usability, robustness, and sterilization effectiveness utlizing biological indicators within the intended operating context of our devices. To that end, Noor Medical has secured Memorandums of Understandings (MOUs) from two clinic networks in Chad represented by the Adventist Health International and the Deutsches Institut für Ärztliche Mission e. V. (Difäm). Our devices have passed through a series of technical testing rounds and it is now time to bring them to the clinics we plan to serve. How will the money aid our field testing? 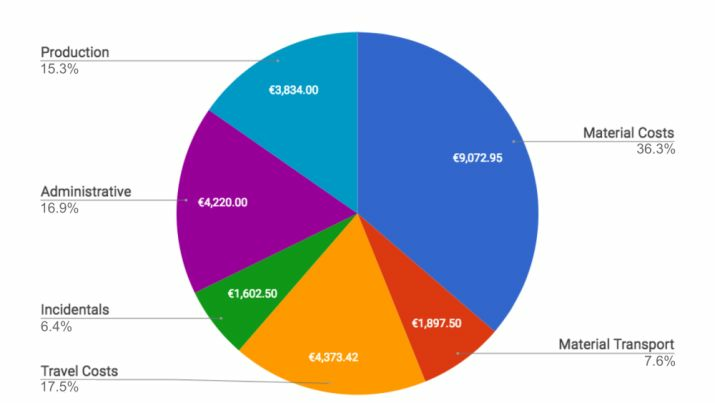 The graph below displays the financial distribution of the planned crowdfunding goal of €25,000. Production: Equipment and machinery upgrades for improved boiler unit assembly; Costs related to a more in depth supply chain analysis. Material Costs: Expenditures for materials required for production. Material Transport: Transport costs for components required for import and transport of prototypes to field test locations. Travel Costs: Expenditures required for traveling to field testing locations. Includes living expenses while in the field. Incidentals: Contingency costs related to travel and device testing. Administrative: Legal and tax related expenses required for company registeration. Noor Medical strives to be fully transparent during the field testing phase. We are happy to provide a more detailed financial report of our activities to interested investors and supporters as we move into our next phase of development. Or, visit www.noor-med.com for updates and to learn more about our team! 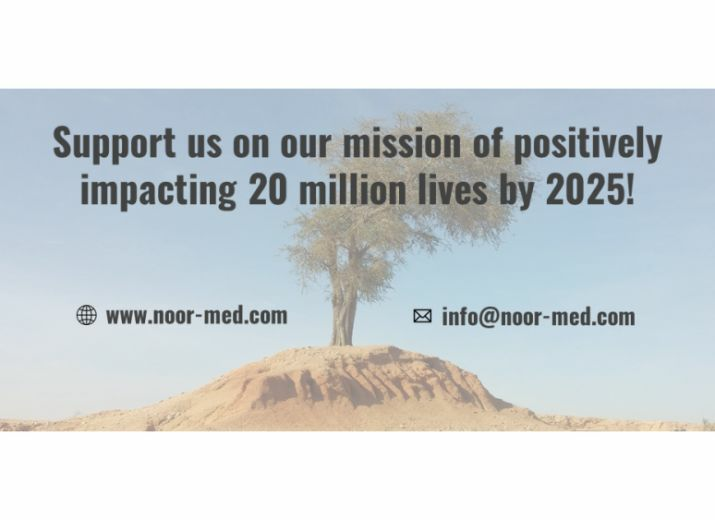 Noor Medical would like to thank all of our supporters who have helped us reach 10% of our crowdfunding goal. This campaign, in addition to our foundation support, will help us as we progress through our field trials. As another update, we've released an article with more info about the co-founders of Noor Medical here. A note from our CMO, Saji Zagha. For other updates, please visit our website www.noor-med.com, Twitter, or Facebook. Looking forward to attend the Hult-Business-Accelerator program at the Ashridge castle in London, England. Noor Medical wins the Hult Prize Regionals in Tunis, Tunisia! Congrats on your first place win in Tunis. Love the passion and dedication to this project. Go Andrew! Greetings from BioCarbon!! !